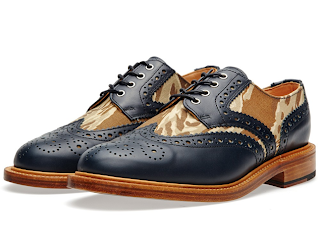 If a man can't have fun with his brogues then he simply can't have fun. The brogue, a polished staple of menswear, has attachments to some of the well-dressed men the world over. 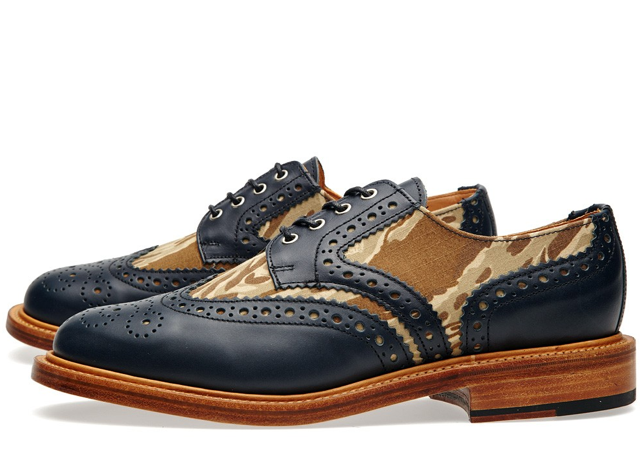 However, what if those same well-dressed men had an exuberant side to their polished mystique. 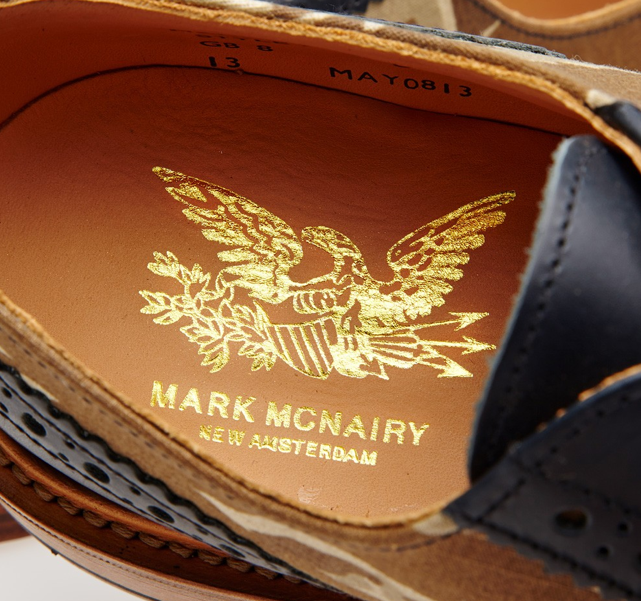 This is where Mark McNairy comes in. 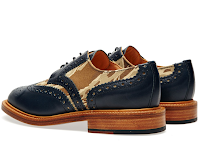 Translating menswear classics into expressionistic footwear for today's man is his schtick and he does it well. 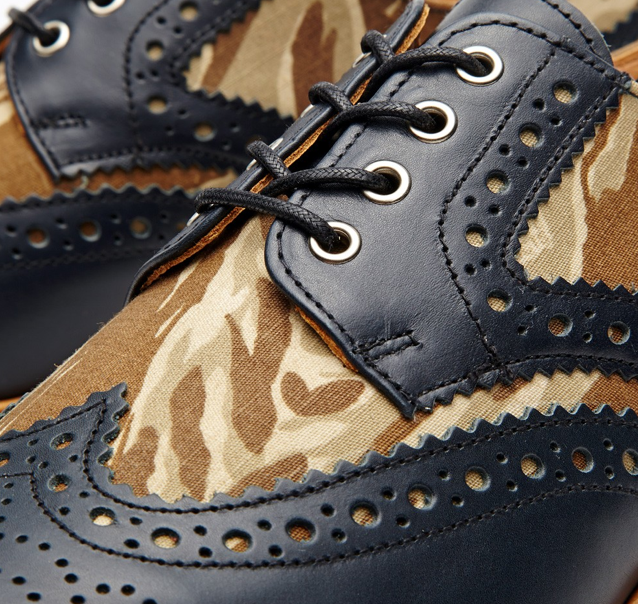 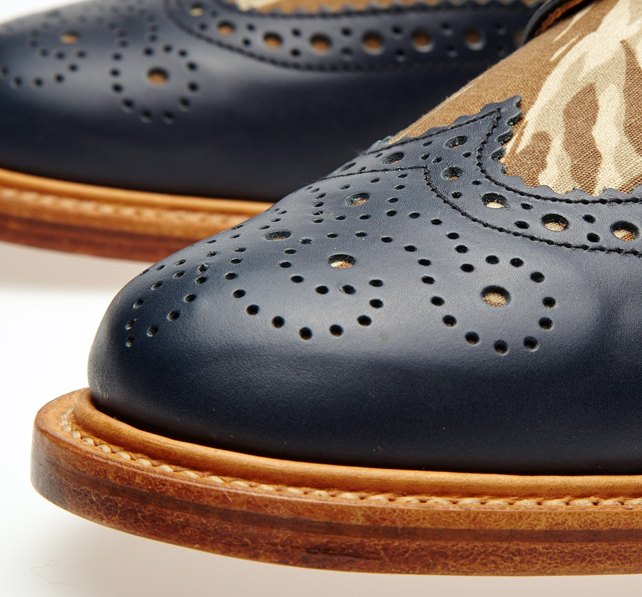 With this, his Leather Sole Two-Tone Camo Brogue in Navy Calf and Desert Tiger Camouflage, McNairy constructs in the tradition of the brogue with the full leather lining, rolled laces, tooling on the premium navy calfskin and infuses a bit o' sass with the tightly executed finish to the desert tiger camo print fabric. 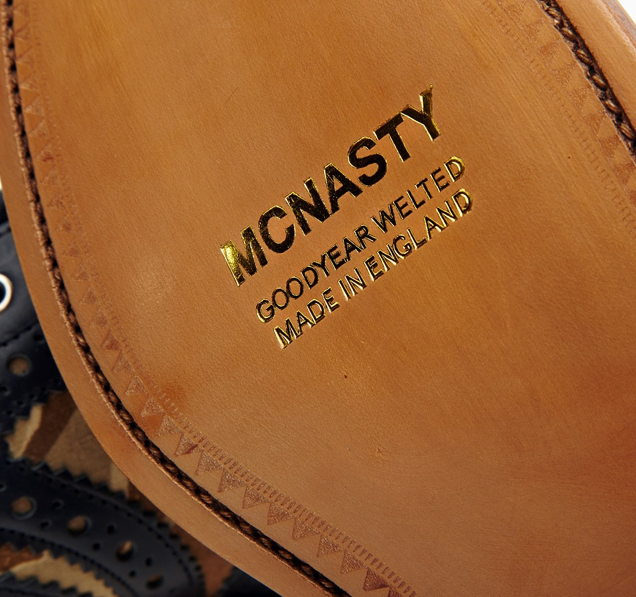 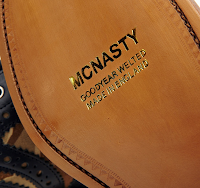 Add the durability of the 'Made In England' stamp and the Goodyear welted sole and this shoe is a charismatic winner. Available now at End Clothing.